Midday games of tennis, cheering on Barça from the stands of the Camp Nou, vermouths in Turó Park and afternoon shopping in the Illa Diagonal: this is the pleasant existence the businessman Amadeu Conill must sacrifice in the summer of 2007 to save his company, and even his life. La madriguera is the troublesome tale of a prime example of the Barcelona bourgeoisie in free fall. 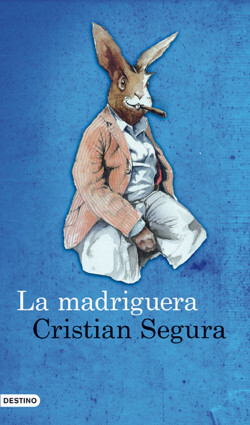 This first novel by Cristian Segura is an ironic look at human troubles and existential dilemmas as they affect the protagonist and his family, the Conill clan. Premi Josep Pla 2011 Award. It is written in the tradition of other literary works about Catalan society, perhaps most obviously L’auca del senyor Esteve, but more than a portrait of a generation or a changing society, La madriguera is the story of an era coming to an end at a mechanical beat: the beat of globalization, which can also be read as a guide to Barcelona’s bourgeoisie.